In every developing career and also at the heart of every personal and career minded professional is the ability to harness leadership skills and awareness. Excellence in individuals can almost always be surmised in their ability to lead. Lead themselves, others and demonstrate leadership and sound judgment that garners the respect of others in anything they do. As a company who identifies great leaders we also would like to instruct promising individuals on what to do to further develop themselves. 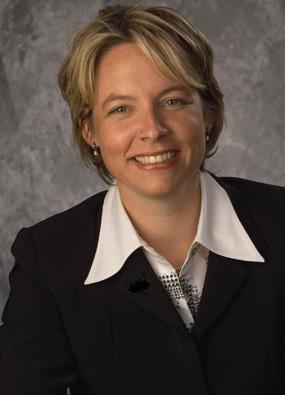 Our strategic partner Leslie Bennett is a top Leadership Coach who hails from our industry and our discipline. This mix of capability and industry understanding is truly unique in her field and we have recognized this. Leslie is a key player in our Outplacement Career Transitioning service and we have huge confidence in her abilities to develop leadership. Leslie's leadership coaching experience has been developed over the past ten years, from various sources beginning with coaching and mentoring her coordinators at one of Toronto's premier event planning companies. She realized very quickly she had a genuine passion for assisting people to realize their true potential. While working with a learning and development company for almost three years she participated in her own self development journey and had the profound privilege to create, design, coach and facilitate leadership learning experiences for groups of 10-200 people. Leslie's program is specifically designed to enable individuals and organizations to achieve extraordinary results. Her programs enhance career, personal and life awareness. This includes establishing a baseline of where and how each individual sees themselves developing and defining their own leadership. This program is what many executives have benefited from, to advance their understanding of their behaviours, actions and results, and to better take advantage of them in both professional and personal interactions. For more information on how leadership coaching can improve you or your company's employees please click here.